If you're a content creator, reaching mobile users is a cornerstone of today's competitive market. Social media and ads are a great way of garnering new viewers but to engage with your existing audience in a more personal and more meaningful way, standalone apps are a great way of communicating with your users. The problem is that most don't have the technical background or time to dedicate themselves to developing a standalone app from the ground up for their content. 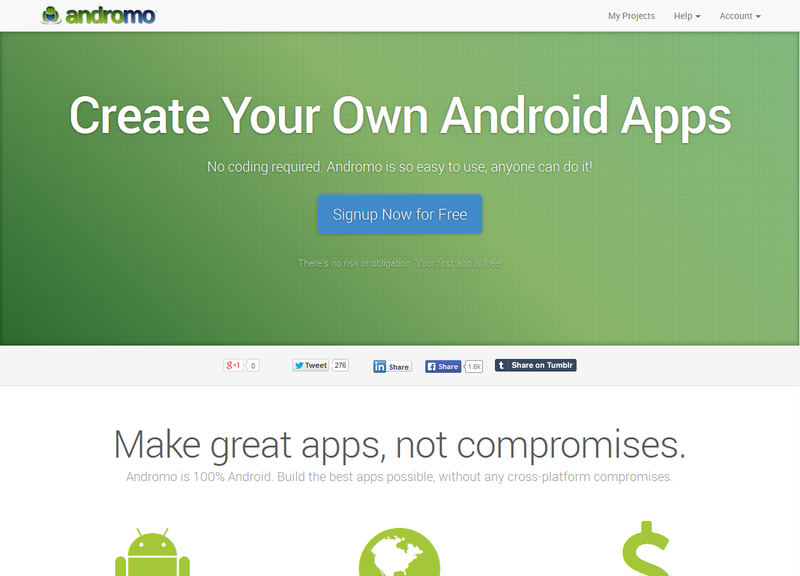 This is where fellow Canadians at Andromo look to solve that problem. The scrappy company from Winnipeg offers an application creating platform that allows users who may or may not have the greatest amount of technical skills to create their own mobile apps. 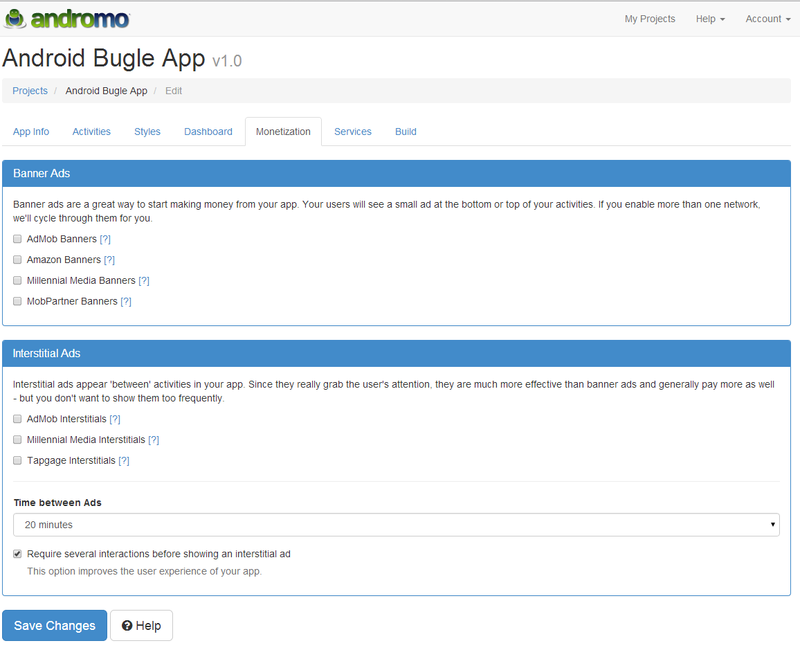 While personally speaking I am a programmer with a bit of experience in Android, I was very curious to see how Andromo would compare to building my own app from scratch for Android Bugle. 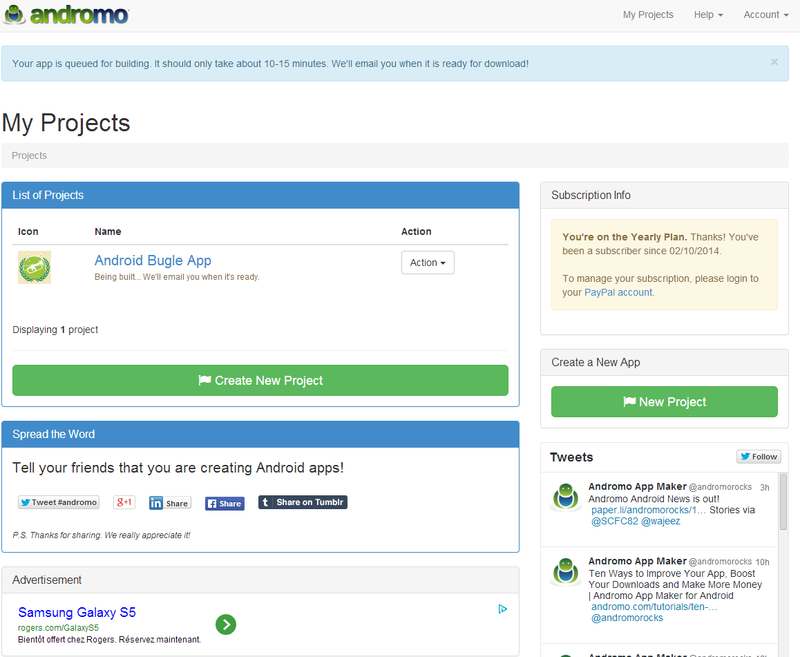 When users first start they greeted by Andromo's My Project page where users can manage any apps they create. In our case, we have our Android Bugle App. When creating an app, one of course chooses an icon, a name, the version Number, what target market (Play store or Amazon App store), Category of app and package name. After that, the user chooses what activities they want their app to do. 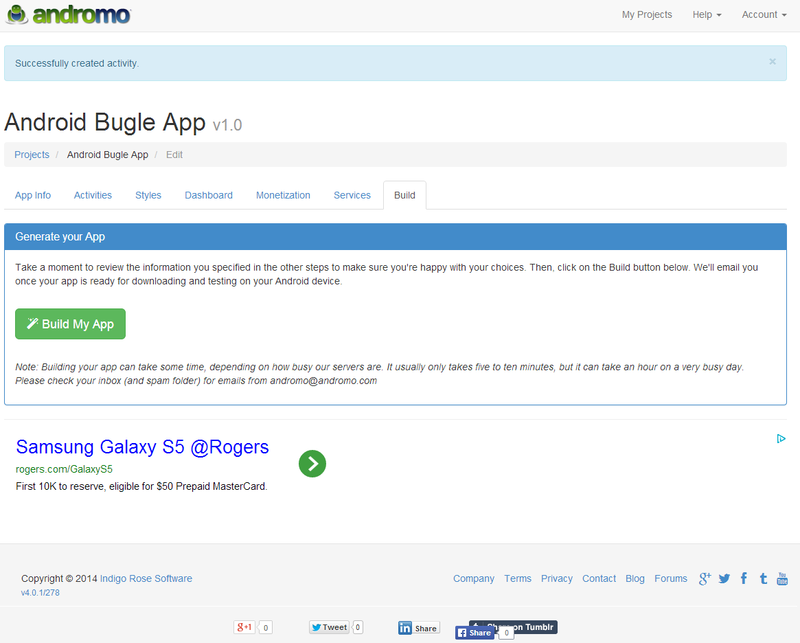 This is where one can choose what their users can do on their application. 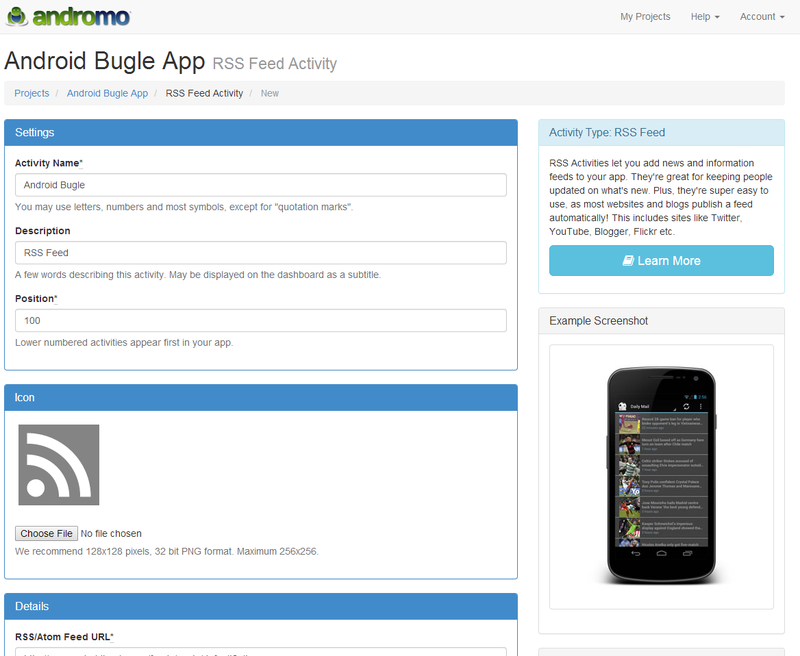 In our test project, we added an RSS reader activity as well as about us page. We could have also chosen adding a YouTube video aggregator as well as other activities. 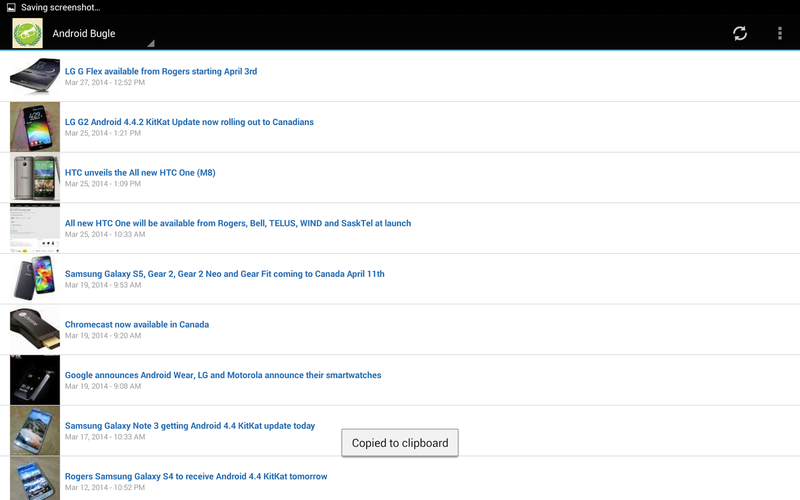 Next is the Styles tab where one can modify the look of one's app. Andromo follows most of Google's design guidelines so Android purist will probably enjoy that, as well as the fact that it will fit in with most other "Holo" apps. Next Tab is the Dashboard tab where users can change the Layout of how their activities will be displayed within the app. 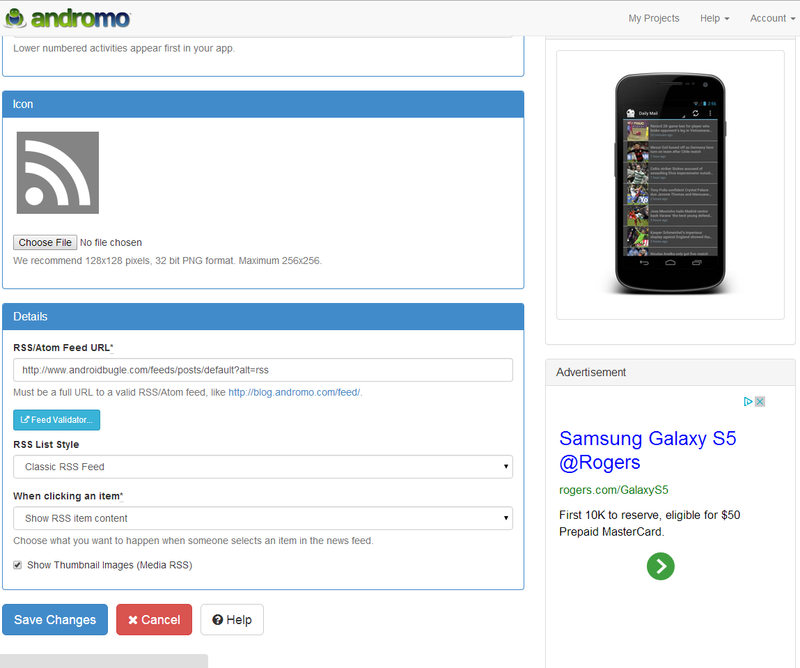 Andromo also allows users to plug into Google Analytics to get in depth information such as demographic information on their users. They also provide support for AirBop push notification, but warn that it should only be used sparsely as it can annoy users when misused. 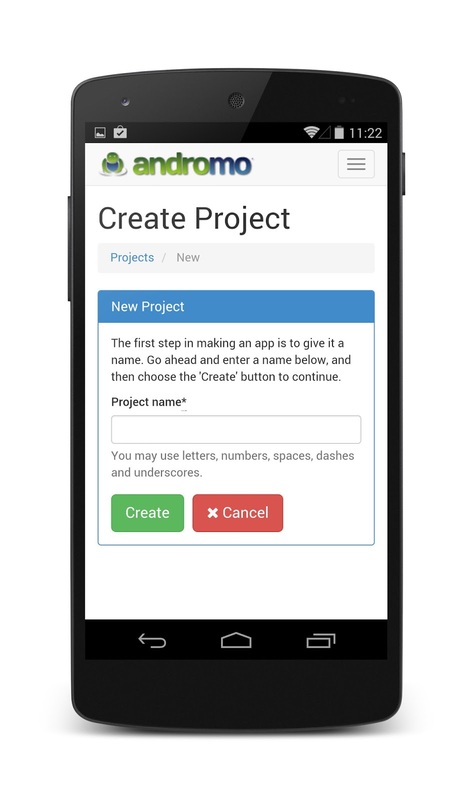 Once all the steps are done, users can then proceed to build their app. 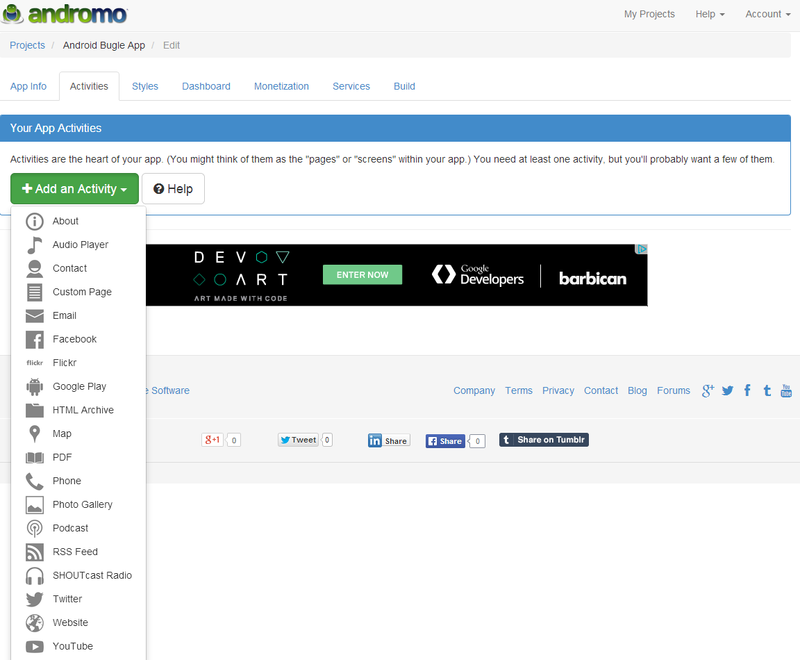 This is where Andromo's automated service kicks in and builds the user's app. 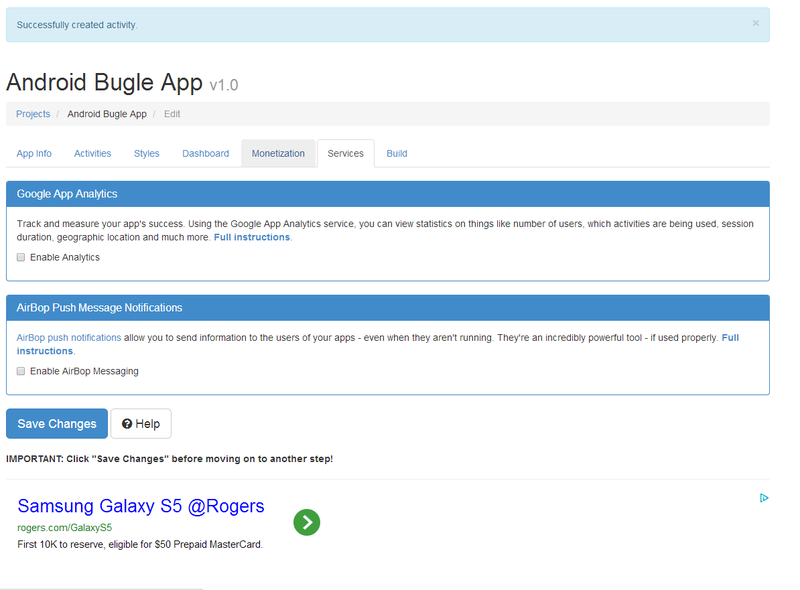 In our experience, it took about 10 mins to receive the APK to our "Android Bugle app. 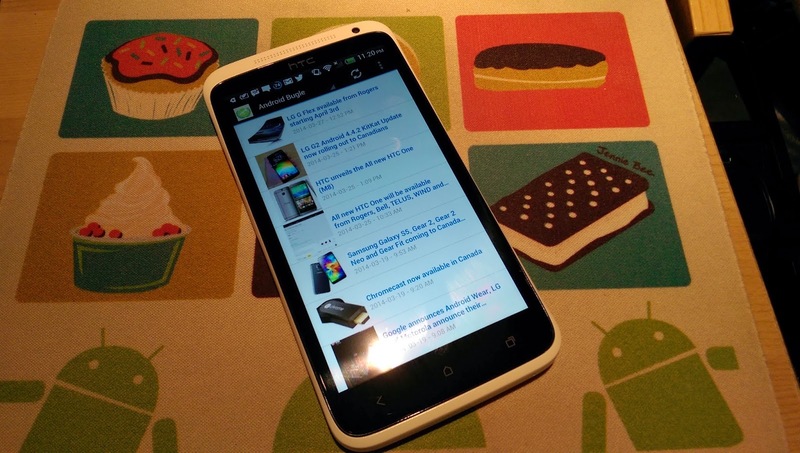 The APK installed flawlessly and worked great on our HTC One X test unit. One thing we have to point out is that the Tablet app isn't particularly optimized for the increased real estate and we hope that this is expanded on by the Andromo team in the near future. More advanced custom activities of course are something you won't be able to do, but that's to be expected. 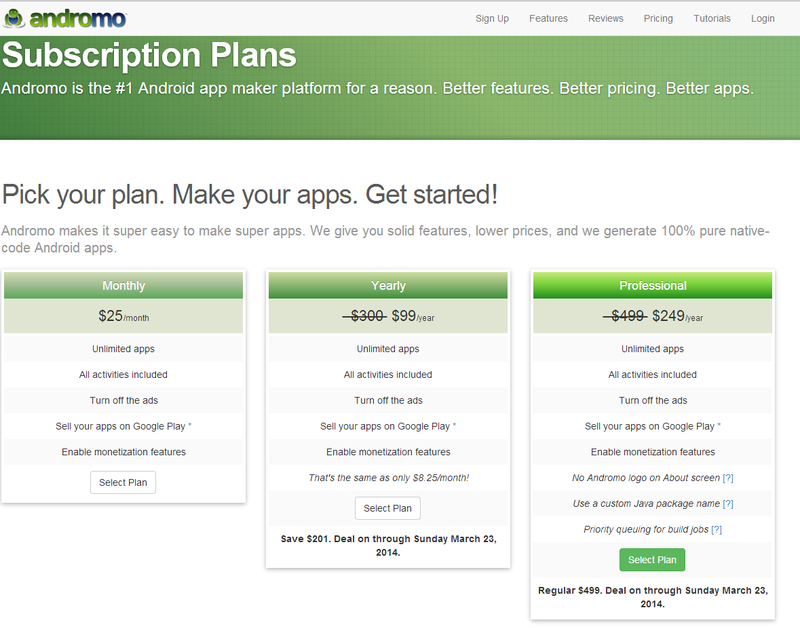 Also, you don't get source code so modification to you app will have to continue to happen through the Andromo service. 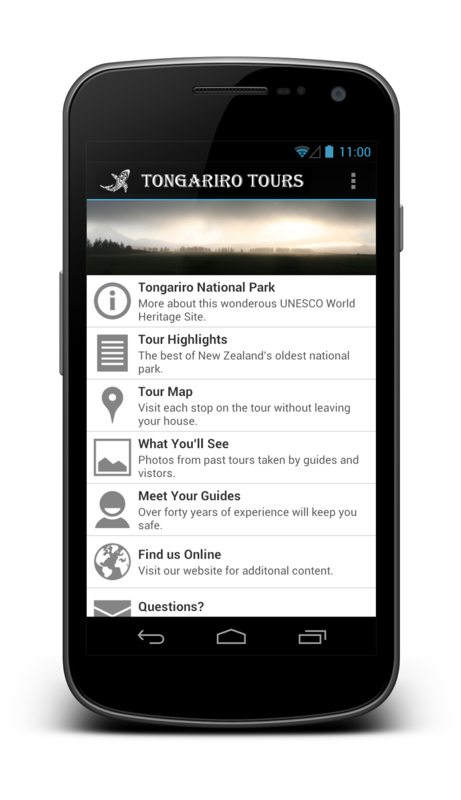 We do like that apps can also be created/modified on a mobile device or tablet, which is added flexibility for interested users. Overall, we do recommend the service to people interested in trying to get content into their existing user bases' hands in a more personal and tailored fashion. 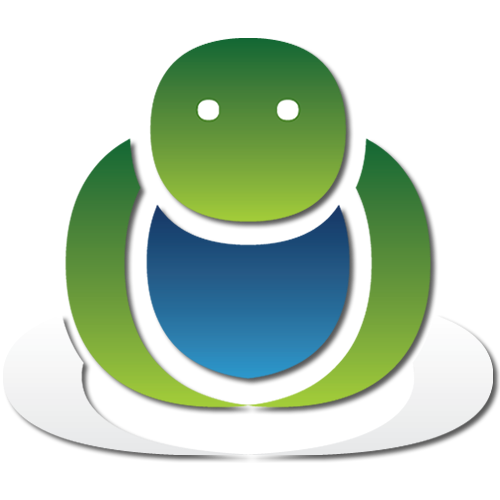 With plans ranging from $25/month, $99/year (promo) and Professional $250/year (promo), there certainly is good value for those who might not have time to sit and learn to code their own Android App. While I personally would have built my own app, given some of the limitations of Andromo's services, the time it would have taken to build my own app would be far greater than the time spend making the app for this review. 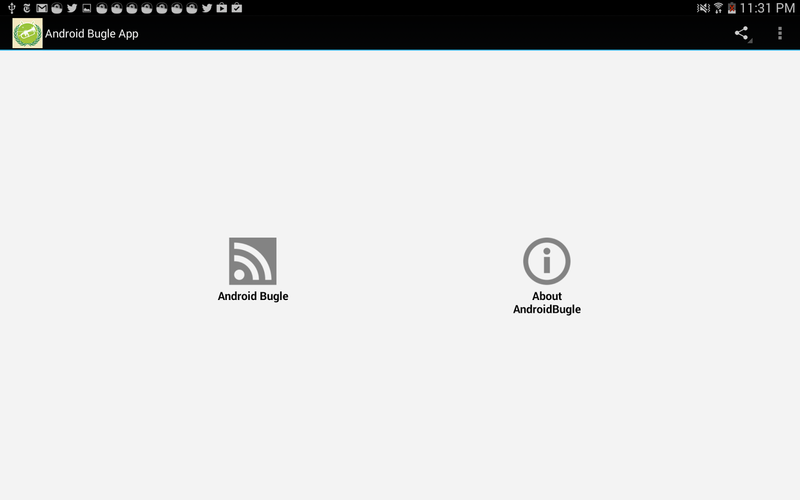 If I weren't a programmer by day, I would most certainly consider Andromo to create an Android Bugle Application. 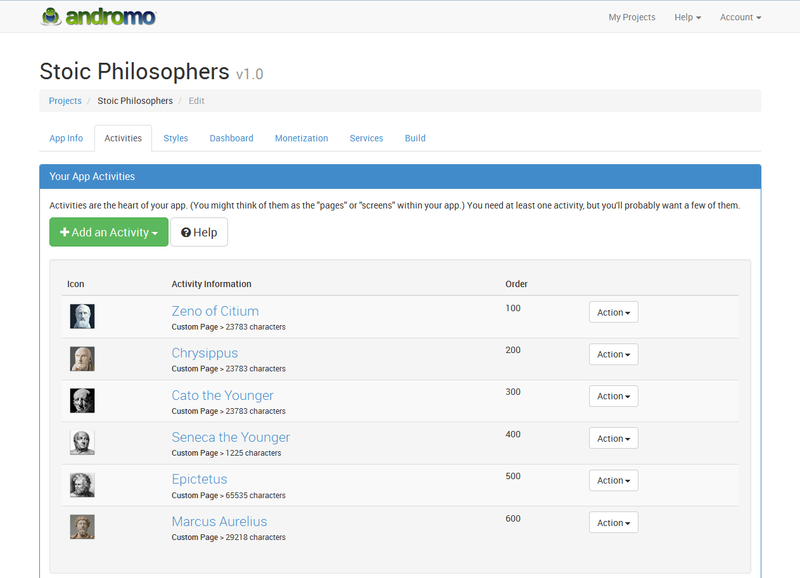 Special thanks to Mark, for setting us up with a evaluation account to try out Andromo hands on.